Some friends are in town for a few days, and I planned a few meals together with them. We have long discussed the possibility of visiting Macau together - not just for the food but also to raid a particular wine cellar - so that was exactly what we'd be doing this weekend. 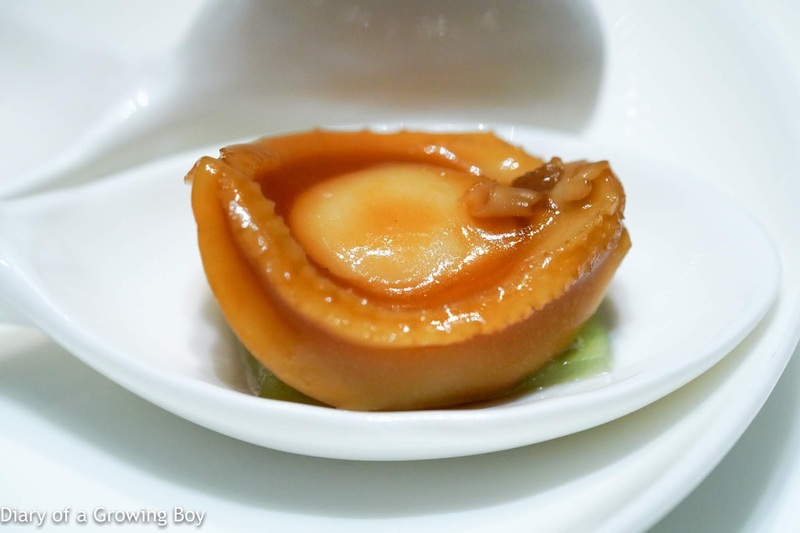 Braised abalone with water bamboo - I thought the thin layer of vegetable below was celtuce stem (萵筍) and not water bamboo (茭白筍). Braised pork belly with osmanthus - pretty nice. Good bouncy texture, and slightly chewy skin. 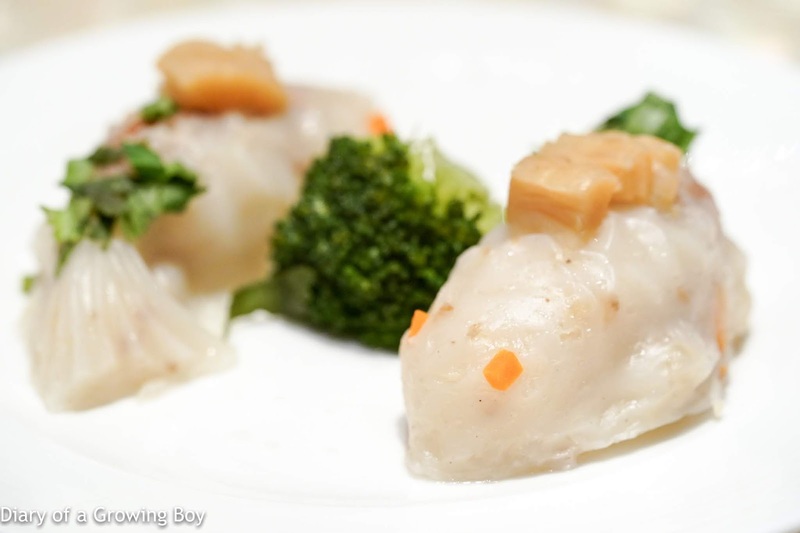 Steamed dumplings with crystal blue shrimp in goldfish shape (藍天使蝦金魚餃) - our visitors were delighted by the presentation, as I have been for the last few years. The dumplings with shrimps from the clear waters of New Caledonia were as tasty as ever. 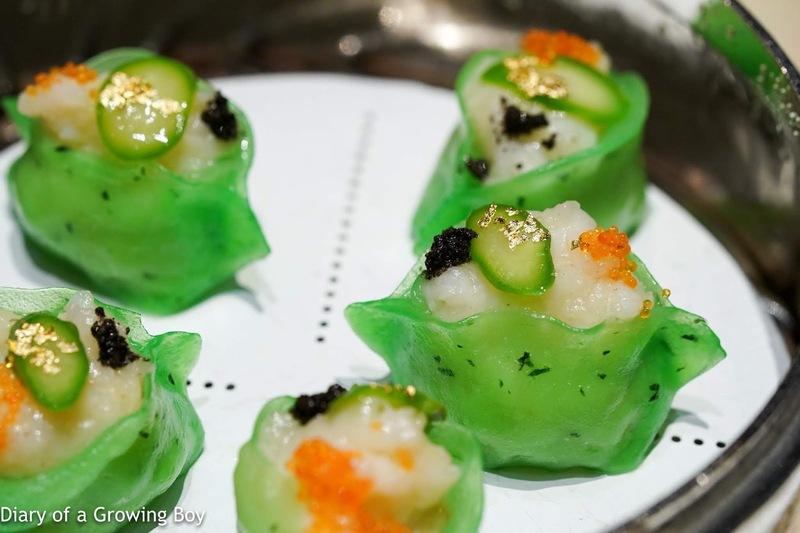 Steamed dumplings with lobster and black truffle (黑松露翡翠龍蝦餃) - not surprisingly it was a little dab of truffle sauce on top, along with a thin slice of asparagus and a little pile of what looked like shrimp roe. Colors and presentation certainly eye-catching. Crispy barbecued pork buns with preserved vegetables (脆香叉燒包) - always a big fan of this... both for how delicious it tastes and how much work goes into the presentation. 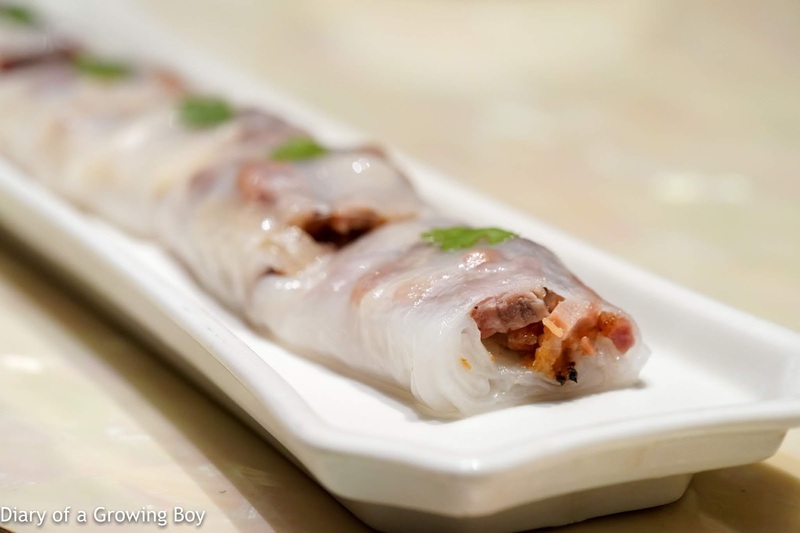 Steamed rice flour roll with barbecued pork and baby ginger (薑芽叉燒腸粉) - a new item I hadn't tried before. 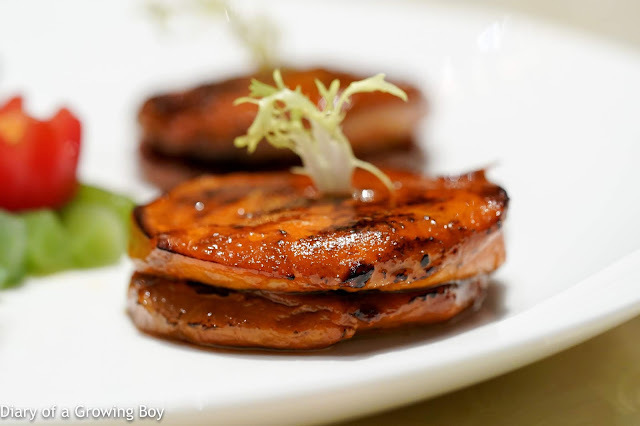 While it's interesting to pair young ginger with char siu (叉燒), I'm not sure I like it. 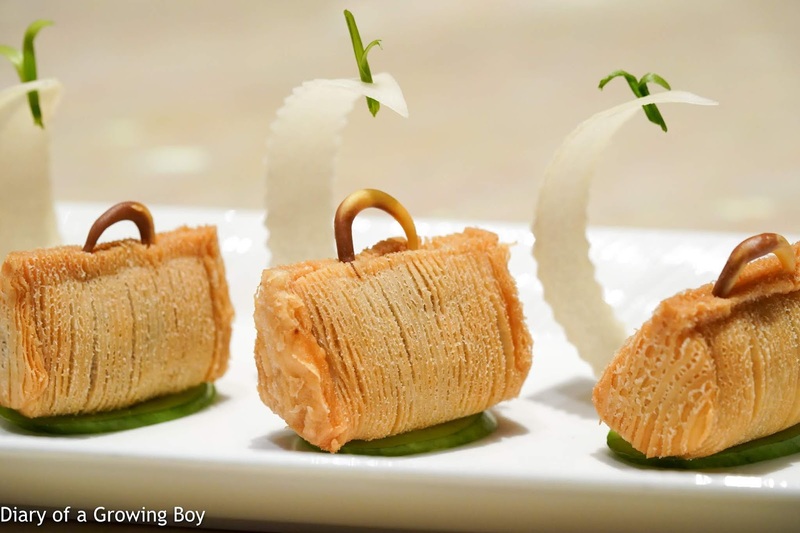 Puff pastry with river shrimp in purse shape (河蝦肉鬆手袋酥) - another pretty creation. I've always loved the puff pastry for their crispy exterior, and of course the shrimps inside were very tasty, too. 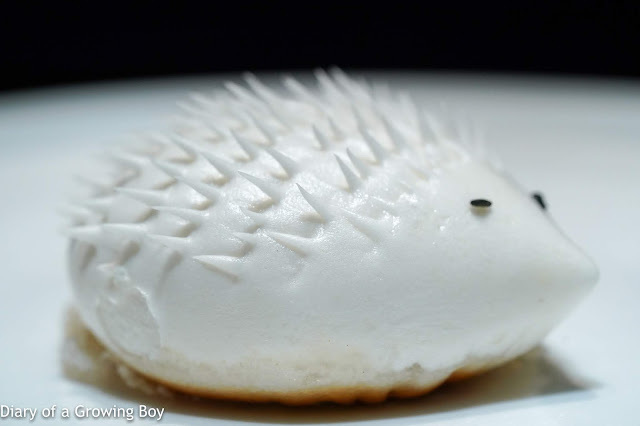 Steamed turnip cake with shredded conpoy in fish shape (瑤柱蒸魚形蘿蔔糕) - I normally prefer these to be pan-fried, but the steamed version here comes out of a pretty mold. 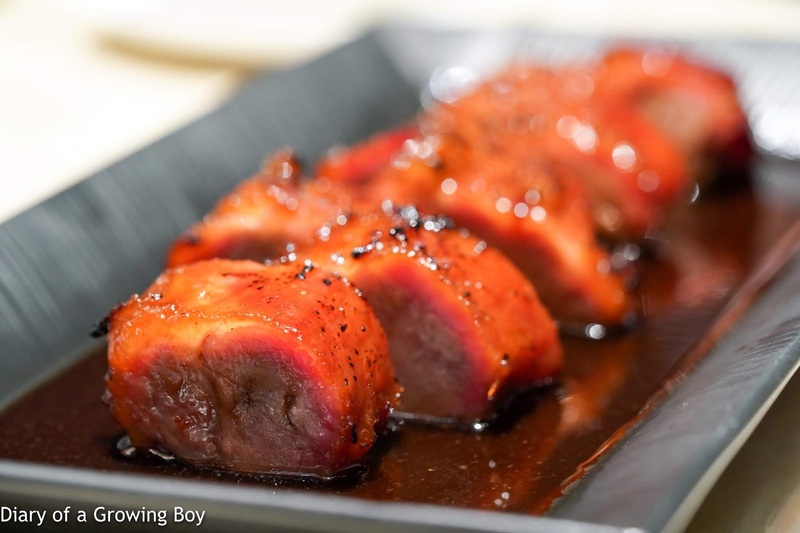 French goose liver with “char siu” and a thin-sliced of Chinese preserved sausage (法國鵝肝金錢雞) - it's been a while since I last had this dish here, but I gotta say... I prefer other versions of the "gold coin chicken". This was too thin to be satisfying, and I actually find the soft goose liver to be unnecessary. Chicken liver actually provides more bite. Barbecued pork (玫瑰蜜汁叉燒) - this was as satisfying as always... thick cut is the best. 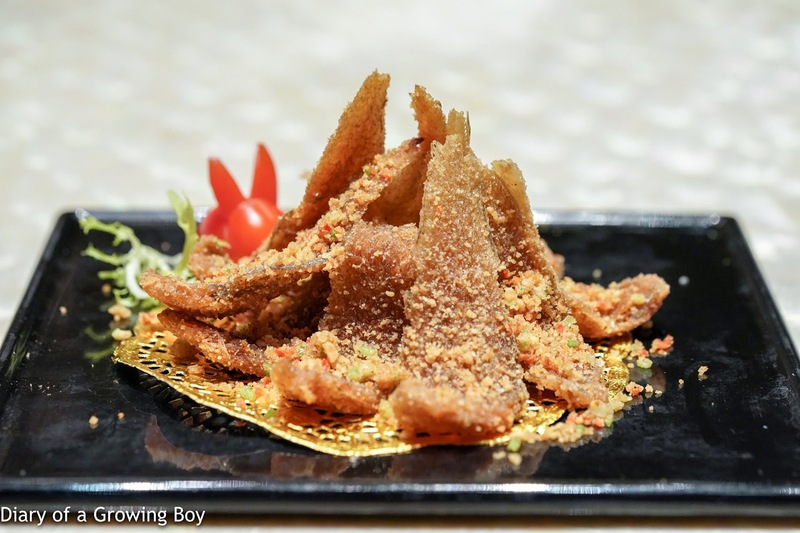 Deep-fried Macau sole with spicy salt (椒鹽龍脷仔) - nice and crunchy, with plenty of seasoning. Coffee jelly (咖啡啫喱) - my favorite dessert here. 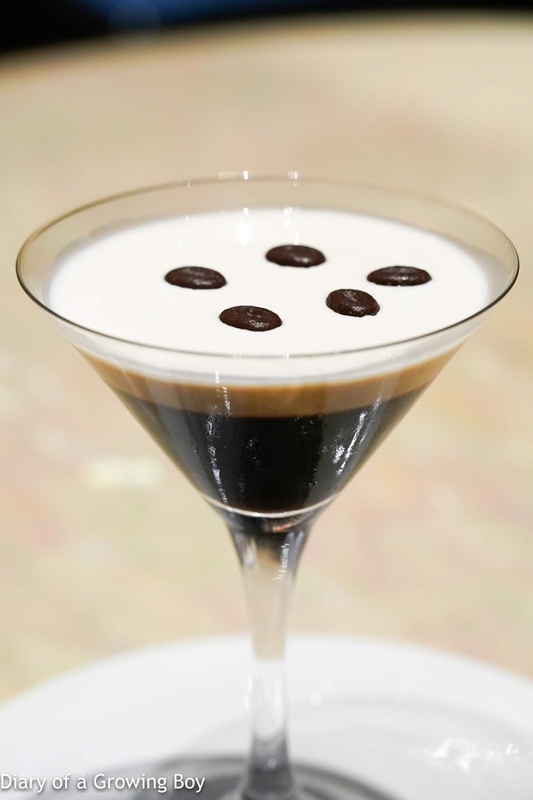 Can't get enough of the combination of coffee jelly, coffee mousse, and cream. 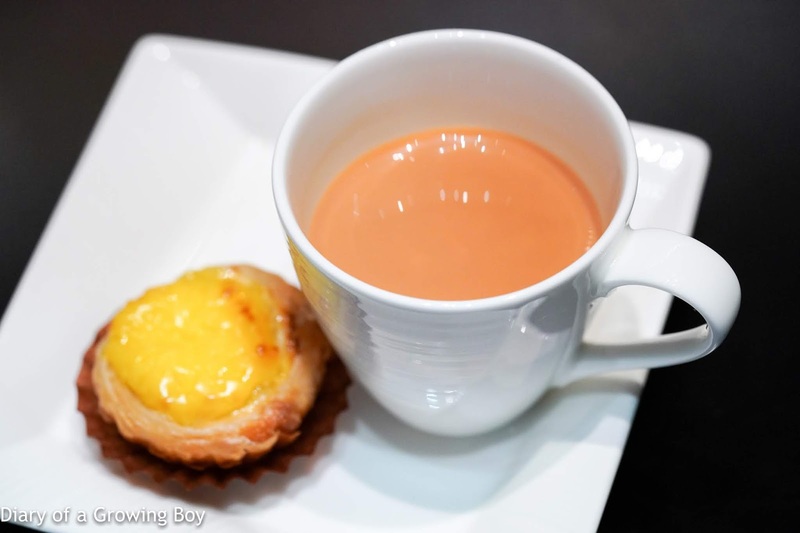 Portuguese egg tart (葡式蛋撻) and milk tea (奶茶) - my favorite milk tea... and of course I had two cups, and two tarts. We were pretty civilized and only opened two bottles of old riesling that I had pre-ordered. 1976 Joh.Jos. 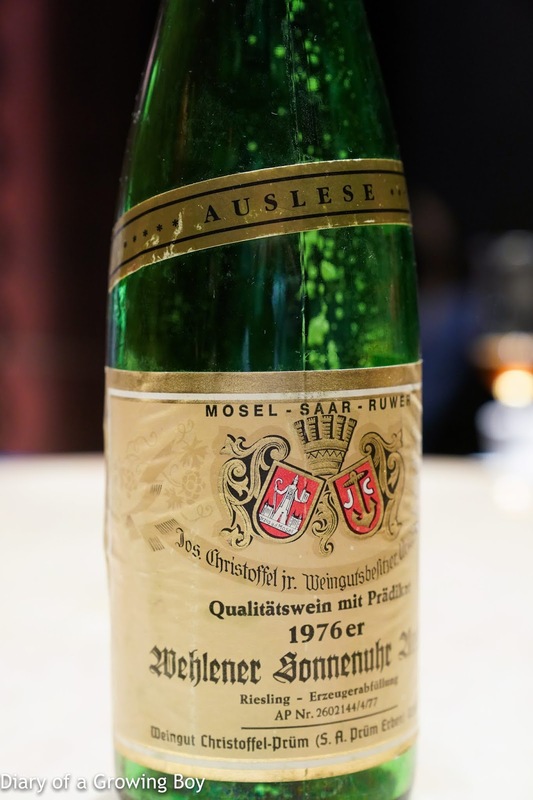 Christoffel Wehelener Sonnenuhr Auslese***** - orange marmalade, finish a little short at first. Needed chilling and opening up. Good depth later on the palate, round and viscous, with a bit of honey and polyurethane. Beautiful after opening up. 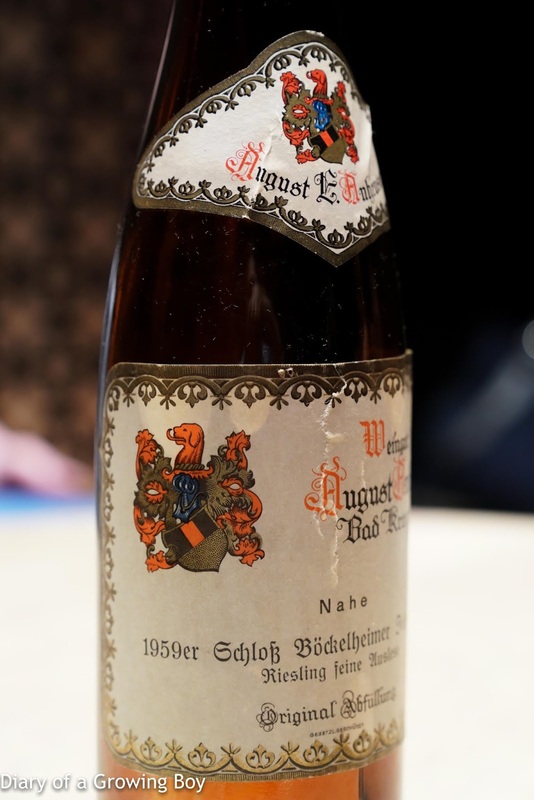 1959 Anheuser Schloßböckelheimer Felsenberg Riesling Feine Auslese - really complex, with a little exotic spices like nutmeg. Nice bit of acidity on the back, with a bit more raisin and black grapes, and a hint of savory notes at the end. After proper aeration the palate grew stronger and the finish got longer. For once, we were a little conservative in terms of the amount of food we ordered, as we knew there would be a big dinner coming up today. 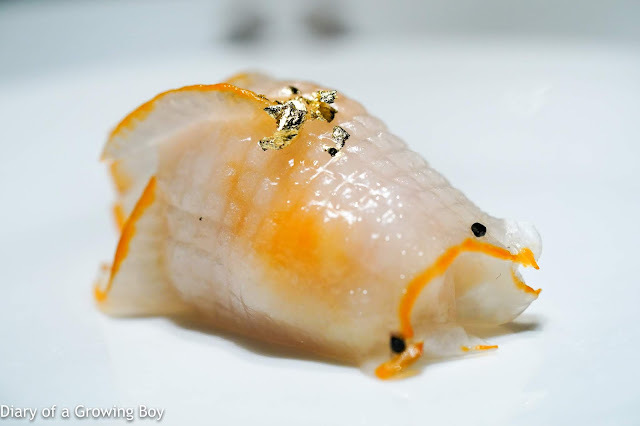 Many thanks to Chef Joseph Tse and the team for taking such good care of us.